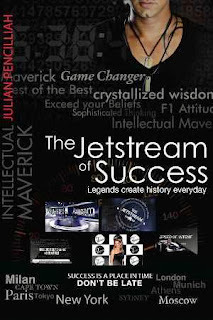 Julian Pencilliah's "The Jetstream of Success" is an inspiring read about finding success in one's life. It was written with the intent of helping the reader to realize his or her dreams. One of the methods that the book recommends for achieving success is by having the reader assess his or her thoughts, so that damaging thoughts can be eliminated. The author, a global venture capitalist, writes that he was inspired by others, and he seeks to inspire the reader in the same manner. The book is very comprehensive, covering a wide range of methods, such as reining in intentions and avoiding self-defeating attitudes, for achieving success. The enthusiasm of Julian Pencilliah is apparent in the writing, filled with inspirational words, which is almost a stream of thoughts. One of the highlights of the book is that Julian Pencilliah includes personal anecdotes, such as when he was invited to a private game reserve with Sir Richard Branson, to reinforce his points. The book would be a great read for anyone looking to reevaluate their life and achieve success. 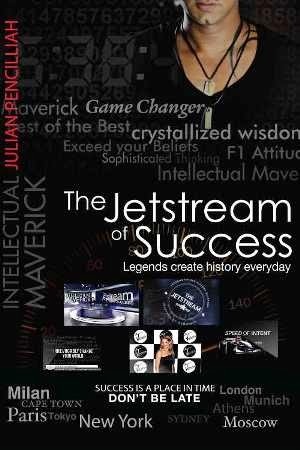 Julian Pencilliah truly has a gift for inspiring.